With the recent success of the Hunger Games franchise, Hollywood has been quick to try and find the next line of YA novels that will bring them an even bigger pile of money. That sad line of thinking has brought us “Vampire Academy”, “City of Bones: The Mortal Instruments”, “Beautiful Creatures” and, coming later in 2014, “The Maze Runner”. Though better than those listed above, “Divergent” is the latest YA film to come up short against Katniss Everdeen. “Divergent” is the story of Tris (Shailene Woodley), a young girl who lives in a dystopian Chicago separated into factions of people. 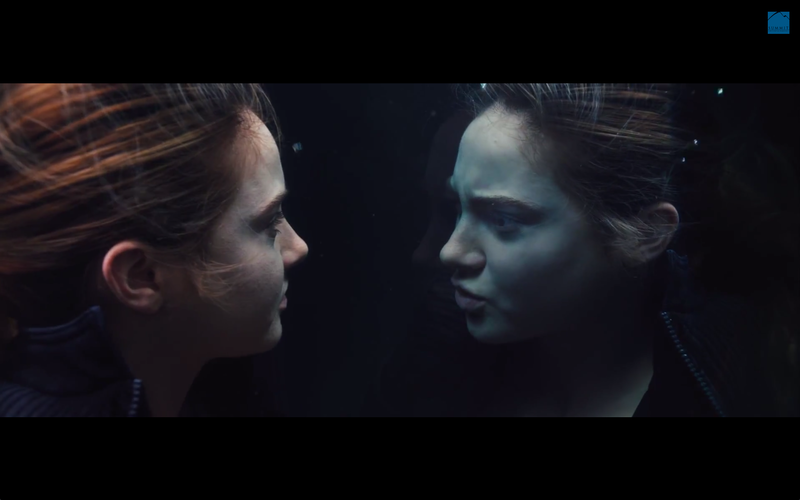 At the age of 16, all children are tested to see which faction best suits their personality. Since this is an attempt to control the population rather than create a better society, those who don’t fall neatly into one category are labeled as Divergent and are dangerous to the powers that be. After inconclusive testing points her in the direction of Divergent, Tris joins up with the Dauntless faction, a group of daredevil soldiers. The rest of the film pertains to her training there under the leadership of Four (Theo James) and Eric (Jai Courtney). The further she gets into training, the more she realizes how dangerous being Divergent is and how important it is for her status as such to remain secret. Most of the problems with “Divergent” can be traced back to its source material and author Veronica Roth. The book itself is plagued by pacing issues that the film tries to fix by changing nearly every scene in some shape or form. Many of these changes, like the film’s finale, are for the better but book purists may be a little disappointed. One of the most noticeable things about the film is how strictly Neil Burger enforces the PG-13 rating on the book’s material. In order to make the film as light as possible, Burger and writers Evan Daugherty and Vanessa Taylor cut out much of the weight of the book and, as a result, lessen the stakes. Several characters are killed or maimed in the Dauntless training process in the book, but the film shows almost none of this. As you can probably tell, I’m not the biggest fan of the book. It isn’t terrible by any means, but there are much better books out there that cover similar topics. In the case of “Divergent”, mediocre source material makes for a mediocre script. The main problem with both the film and the book is that this story feels like an introduction to a series rather than a first installment. Compared to “The Hunger Games” or “Harry Potter and the Sorcerer’s Stone”, “Divergent” doesn’t really have a narrative to call its own. It’s simply a prequel, a teaser. What makes the film worth watching are the talented young actors onscreen and the world that they interact in. Woodley and Miles Teller made a lot of headlines last year with “The Spectacular Now” (and rightfully so) and Jai Courtney is slowly moving up the ranks of young action stars with roles in films like “Jack Reacher” and next year’s “Terminator: Genesis”. Throw in a couple of veteran actors like Kate Winslet and Ashley Judd and you’ve got something to work with. Though it still leaves much to be desired, “Divergent” is a marked improvement over most of today’s YA novel adaptations. Time will tell if the series picks up from here, but feel free to let time pass before seeing this one. In case the storyline for the Gerard Butler hit, “300”, was too complicated for you, Warner Bros. and Legendary Pictures have decided to serve up a prequel/sequel to inform you on the rise of Xerxes the god-king (Rodrigo Santoro) and the events following the original “300” film. While the first film focused completely on the Spartan life led by King Leonidas (Gerard Butler) and his people, this film shows us the actions of the rest of Greece, as well as the Persians, during the same war. Reprising their roles albeit briefly are Lena Headey and David Wenham as Queen Gorgo and Dilios respectively. While it’s nice to see them again, more than five minutes of screen time would have been nice. 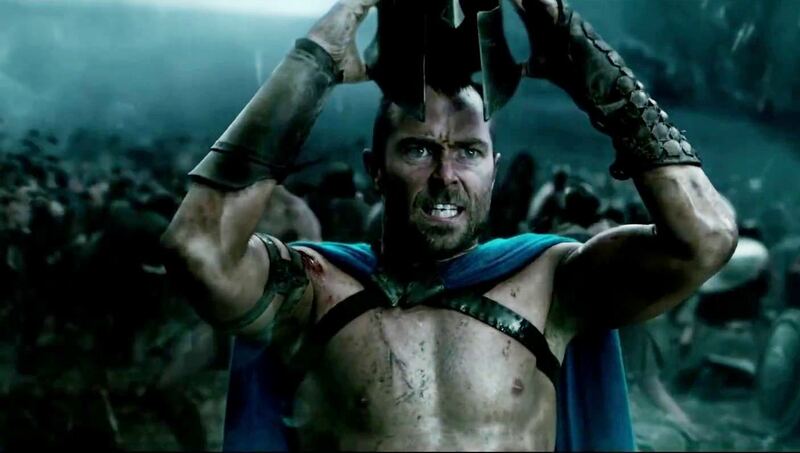 The new protagonist for the franchise is found in Sullivan Stapleton who plays the Athenian general Themistokles. Though the fault lies mostly with the script, Stapleton doesn’t even begin to compare with Butler’s breakout role. What made the first film so interesting is that the audience was immersed into the Spartan culture and its people. Though a cartoonish representation, the Spartans were immaculately disciplined warriors who could destroy their enemies at will. The story played out like a giant campfire story full of bravado, inspirational speeches and manly humor. This next installment, however, fails at delivering on those things. It plays as more of a comic book history lesson (fair to point out that this is an adaptation of a graphic novel). Instead of Spartan culture and all the interesting things that went with it, the audience is left with a fairly average war movie with forgettable characters. The lone character worth remembering is Artemisia (Eva Green) who, like much of the film’s history, is wildly altered for effect. Green plays the Persian leader with a cold disdain for the Greeks as deliciously evil as one could pull off the character. Without her as a worthy adversary, the film would be totally lost. “300: Rise of an Empire” may be missing the Spartan heart that made the first film a hit, but there is no shortage of action in this outing. Many of the battles take place at sea, cutting down some of the swordplay, but overall there’s plenty to be excited about. One thing that does distract from the action is the insane amount of CGI blood that each strike produces. While the original was no stranger to blood, this film seems to have been influenced by Wednesday and Pugsley Addams. Another scene that goes a bit too far involves Themistokles and Artemisia in a secret rendezvous. The idea of the scene could certainly work but the execution comes off as overly silly, even for this franchise. The good news on the “overly silly” front is that this film features almost no weird creatures, deformed men, naked oracles and/or their creepy handlers. One of the biggest distractions of the 2007 film was the number of scenes where my skin was made to crawl by some weirdo with scales. The closest thing you’ll have to endure in this film is the return of the hunchback (Andrew Tiernan) who betrayed Leonidas in the original. While it isn’t the misfire that it easily could have been, “300: Rise of an Empire” fails to live up to the hype of its predecessor. A few good action scenes here and there and a fun role for Eva Green fans to enjoy make the film almost worth the effort. Even a depressed, alcoholic Liam Neeson is someone you don’t want to mess with. 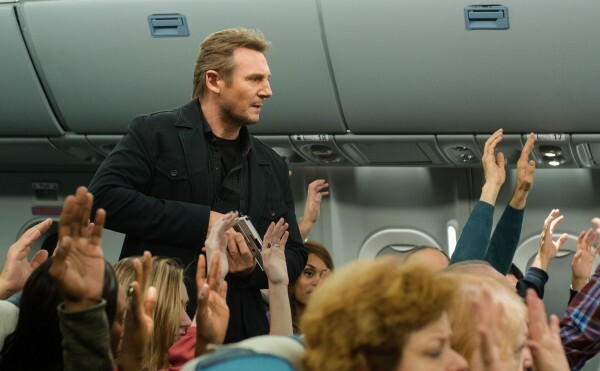 The latest in a long line of early-in-the-year releases from the 61-year-old Neeson, “Non-Stop” is a Hitchcockian murder mystery set at 30,000 feet. Bill Marks (Liam Neeson) is a burned-out air marshal on a flight from New York to London. Going about his usual flight routine of drowning his sorrows and smoking in the bathroom of the plane, he receives a series of text messages from an unknown origin claiming that unless $150 million is transferred to an account, someone on the plane will die every 20 minutes. As he tries to discover the assailant’s identity, the air marshal himself is implicated as a terrorist. After films like “Taken” and “The Grey” have cemented Liam Neeson as a man’s man, we’ve come to expect these winter action tales where he gravely threatens someone or beats up a room full of men. While “Non-Stop” does have a couple of fights, the setting limits the carnage a good bit. This results in the first 2/3 of the film mainly relying on suspense, which it does rather well. A crowded plane is a small place to get away with murder, but when you are one of 150 suspects anonymity can be your friend. What makes the guessing game interesting is that the film has a pretty good cast of secondary characters, none of which has an identifiable motive. Aside from Neeson the film features Julianne Moore, Scoot McNairy, recent Oscar winner Lupita Nyong’o, Linus Roache, Anson Mount and a few other faces that stick out. Part of the reason why Neeson has been so successful with these 50+ male action movies is because he is great at playing a character with a tortured soul and playing villains, both of which come into play one way or another. We really don’t get to see much about Bill Marks aside from a news report that profiles him at one point in the film, but Neeson sells the character. Just so you don’t think this is an entirely character-driven movie, there are a few good action sequences and some of the kills are well done. The former, however, is choppy most likely to hide the fact that Liam Neeson is 61. I don’t care what age he is, grabbing and shooting a gun in zero gravity is about the coolest thing I can think of. As is often the case with films like this where the premise is promising, the film starts to lose steam somewhere around the start of the third act. There isn’t anything too far-fetched considering the genre, but in order to escalate the stakes and move the film along, a few less-than-plausible things happen. These would be fairly easy to overcome if the reveal of the killer was better, but even that doesn’t make a whole lot of sense. The motive behind the attack is silly and, when you think about it, unravels some of the really good things the film was doing for the majority of its duration. “Non-Stop” stumbles at the end, but the first 80 minutes or so are solid suspense and Neeson brings some real class to the film. When your only other choices right now for action or suspense are “Robocop” and “3 Days to Kill”, “Non-Stop” could be just the ticket. It’s that time of year again. Here’s to hoping for a perfect ballot. I’ll be tweeting along with the majority of the ceremony tonight at @VC_Reviews if you’d like to follow along. Happy viewing.